You can submit an abstract or a paper for someone else even if you're not an author on the paper. First, follow the prompt on your dashboard which will bring you to the submission workflow. Here you will go through the steps as if you were submitting on your own behalf. In the Authors step, you can clarify that you are not the author of the paper by selecting I'm not an Author. You will then see that your name is removed as an author. 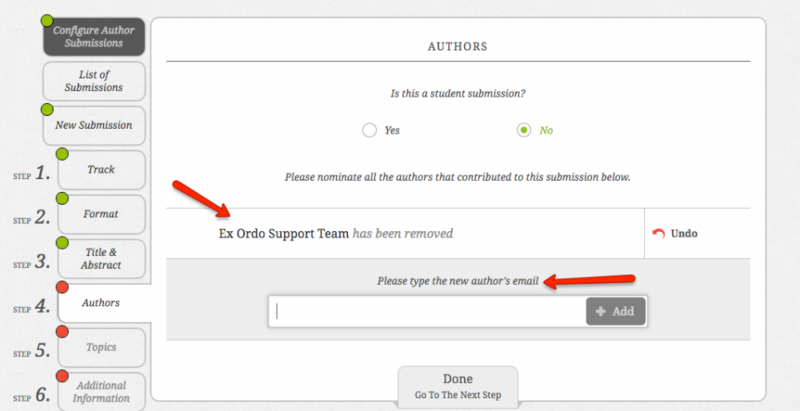 You can now enter the email address of the author you would like to add. 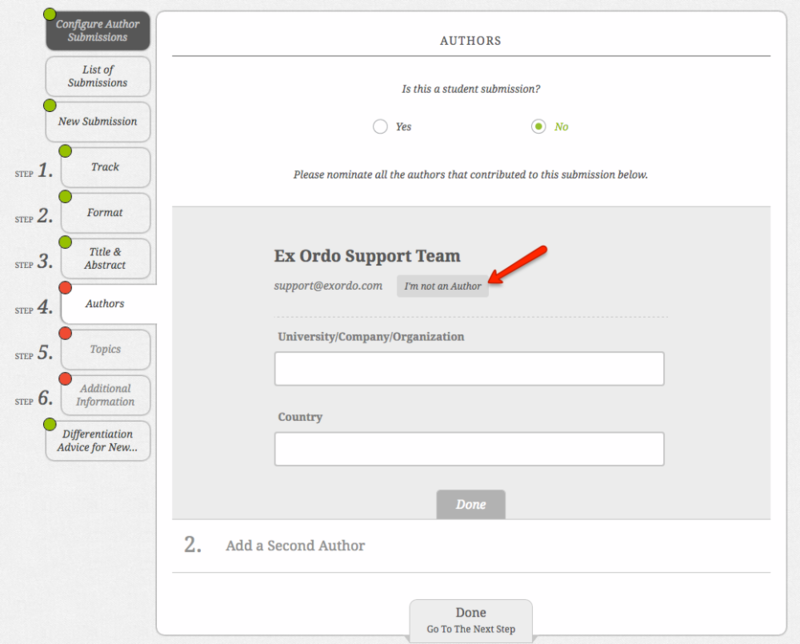 After entering the details of the authors, complete the remaining steps and click Done to finish the submission.